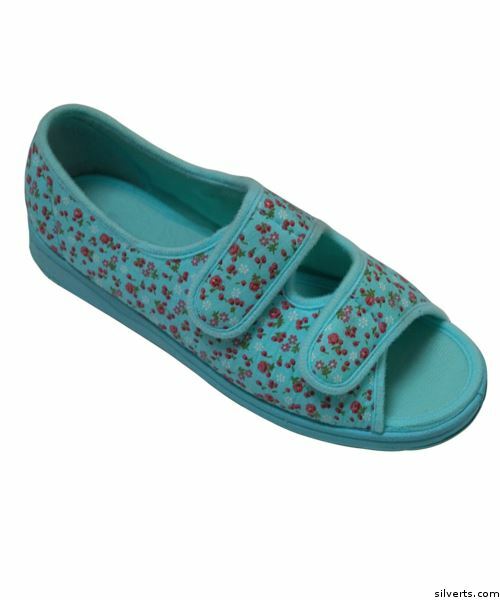 New ladies adjustable Indoor/Outdoor Shoe Sandals for the elderly give feet cool comfort and support. Very generous fit in length. Adjustable straps allow this sandal to be completely opened up for easy access. 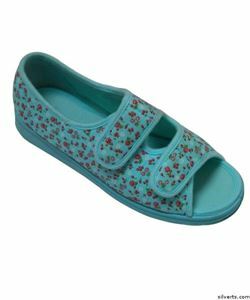 These comfortable walking sandals for elderly senior women adjust for different foot widths. This wide width sandal accommodates swollen feet and swollen ankles. Cushioned insoles. These wedge heel sandals feature skid slip resistant soles. Washable. These comfortable walking sandals for women by Silvert's are Diabetes Friendly. These adjustable Sandals for elderly seniors with a hook and loop fastener make a great gift.